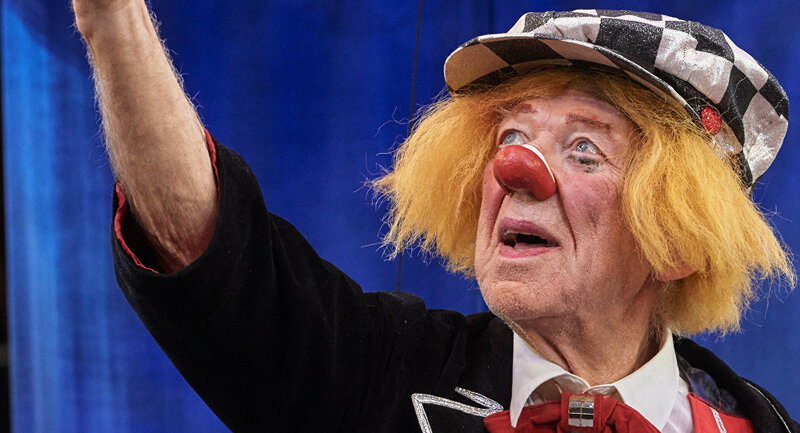 The celebrated performer passed away from a heart attack in Russia’s Rostov-on-Don on Wednesday, according to the director of the Moscow State Circus Edgar Zapashny. “Oleg Popov died in Rostov, he was there on tour. I got in touch with his producer — his wife was not able to talk — and said that we are ready to provide all possible assistance and to organize a farewell at the Moscow State Circus,” Zapashny told RIA Novosti. The Russian State Circus Company, Rosgostsirk, said in a Facebook statement in the early hours of Thursday that the time and location of Popov’s funeral were being discussed with his daughter, who is currently in Germany. According to Rosgostsirk, Popov "died peacefully, sitting in an armchair" at his hotel. Oleg Konstantinovich Popov was born in Virubovo, Russia, on July 31, 1930. He was known the world over for his talents, and was nicknamed the “sunshine clown” by French journalist Jaqueline Cartier. He toured internationally beginning in the 1950s, and was honored with the title of People's Artist of the Soviet Union in 1969. Popov moved to Germany in the 1990s, and in 2006 was invited to perform at the International Circus Festival of Monte Carlo, where he received a lengthy standing ovation. Popov also appeared in several films.